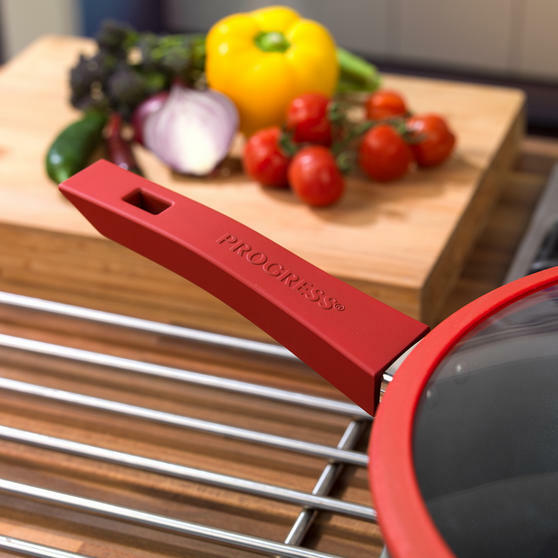 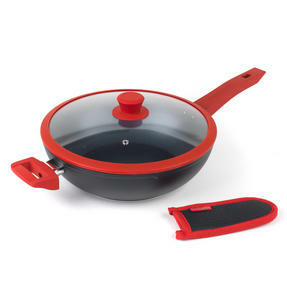 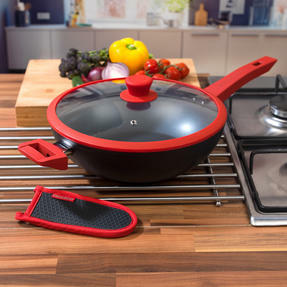 Cook delicious dishes for your entire family using the Progress wok, made from forged aluminium for extra strength whilst also being incredibly lightweight. 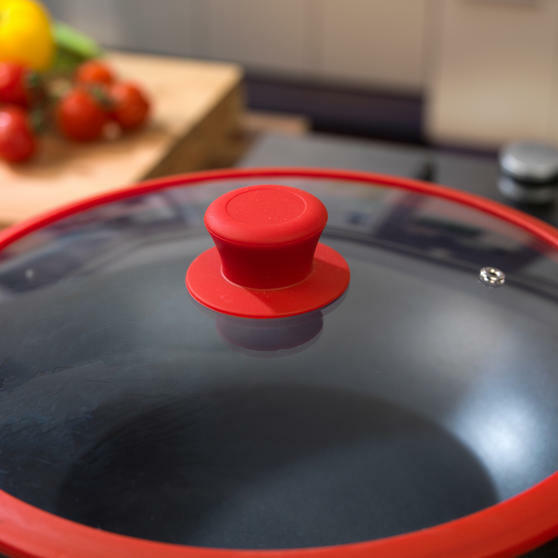 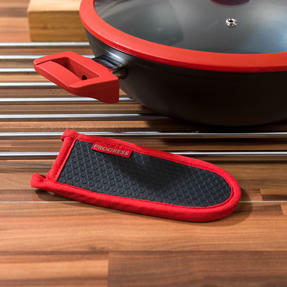 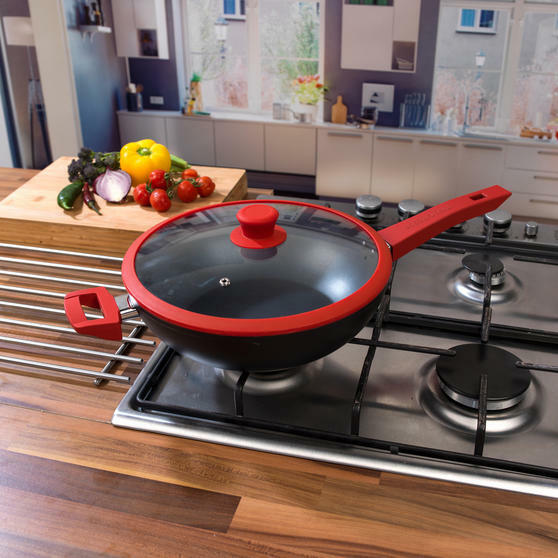 For added safety, place the neoprene handle cover the pan handle before removing from the heat and the slip resistant material will provide a firm grip, whilst being heat resistant up to 260°C. With a stainless steel flameguard and induction base, the wok also has a tempered glass lid vent so you can monitor your food as it cooks. 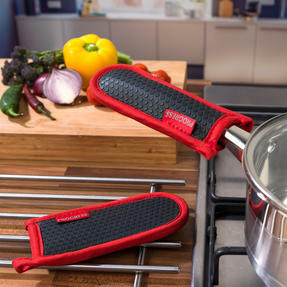 Made from neoprene, the pan handle cover is heat resistant up to 260°C, and conforms to BS6526:1998 safety standards. 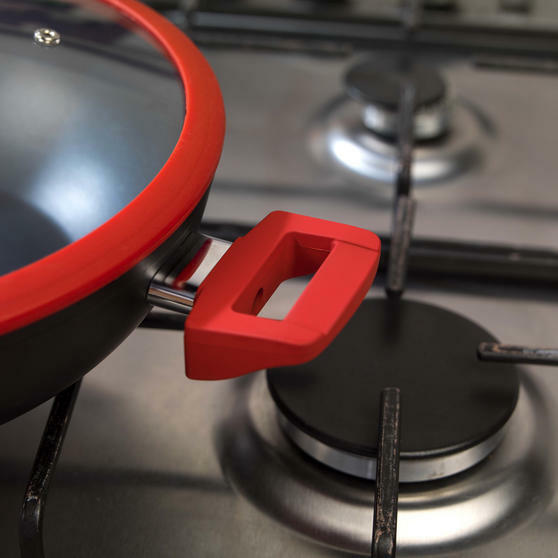 A hanging loop is attached so you can hook the sleeve conveniently onto a cupboard handle for storage and fast access when needed.